I have several very good friends whose lives are all about showing mercy. Three of them, in particular, stand out for me. One serves in the area of Anti-Human Trafficking Initiatives and the other two ensure that malformed babies receive loving care. These dear friends of mine serve the least of them: the forgotten, the weakest, the lonely and the ones we don’t see. They do good work and I am proud to know them and have some small part in what they do. It occurred to me that often we leave care for the needy to the big organizations. We feel like what we have to give is not enough to make a difference. We feel like we cannot make a dent in the problem. We feel like we are ill-equipped for the task. Our God cares about the marginalized — it is the reason He sent His son to Calvary; for us – the marginalized! Do you know what desperate state we were in before Calvary? We were lost, homeless, alone, destined to fail, empty, wicked, orphaned, imprisoned; and then Calvary found us and cleaned us up; gave us a new home; ensured that we would never be alone; gave to us a hopeful future; filled us with the Holy Spirit; forgave and cleansed us; made us children of God and joint heirs with Christ and set us free! Hallelujah! Don’t you miss your shout cue!! Because of God’s great mercy for you – have mercy for others! We have so much to praise our God for. We have so much hope to share with this world. We carry the light – let’s make sure we share it! The lost are living in a world where mercy and grace are not real. Share it with them and watch the people around you live transformed lives! What you have inside of you – so many others can see! 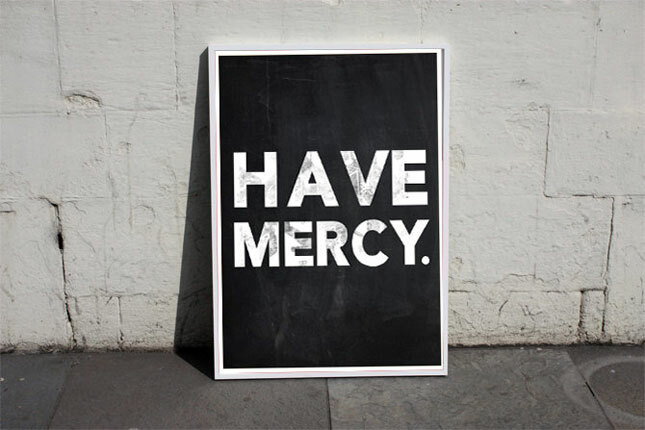 Have Mercy on them – as He has had mercy on you. If you’re reading this and not a believer in Christ, I promise you that what Christ has to offer is more than enough! What is in him is a grace that you just cannot imagine! Feel free to send me a note and I’ll gladly walk you straight into His arms! I pray today that each one of us will have a heart for the marginalized that are all around us. May we desire to bind up the broken hearted. May we desire to heal the hurting. May we desire to care for the lonely. One person at a time we, the Body of Christ, can make a difference in this world. We don’t have to wait until the holiday “giving season” we can start today!